On this page, I have compiled my most highly recommended reading activities for literacy instruction in 4th and 5th grade. Under the title of each resource, you will find complete samples that you can download, print, and try out with your students. If you see great results (I think you will! ), just click the link to purchase the complete set or bundle of the reading activities or resources shown. Curious about how I teach reading in 5th grade? Click here to read a detailed break-down of how I teach reading. If you have any questions about any of these reading activities and resources, you can read the description found at the link to purchase for more information. 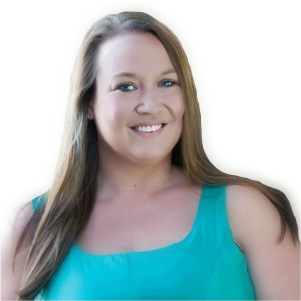 If you still have questions, click here to send me a message! And often much more, depending on the resource. —-> Click here to download a free reading passage and poster from my Story Elements set. Everything you need to teach these key reading skills for 4th and 5th grade! This is a bundle of 11 of my reading resources for 4th and 5th grade reading and literacy skills. Reading exit slips are an effective, easy to implement way to assess students with reading skills and standards. —> Click here to download free reading exit slips that assess fiction and nonfiction comprehension. Want more 5th grade reading exit slips? Need a quick and easy way to assess your students on the reading skills you teach? 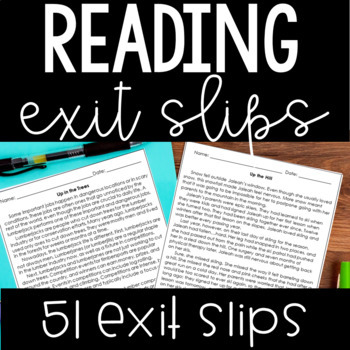 These 51 reading exit slips are perfect for assessing your readers on a regular basis. —-> Click here to download a free reading homework set to try out with your students. Click here to purchase the Reading Homework Bundle for 4th and 5th grade! Do you have readers reading below grade level and want to make sure they can comprehend and successfully complete their reading homework? I recommend checking out my 3rd grade reading homework, which is set up the same way as my 4th and 5th grade set. —-> Click here to download a free week of the 3rd grade reading homework to try out! Click here to purchase the 3rd Grade Reading Homework Bundle. —> Click here to try out the Figurative Language set. You will love how it simplifies your language instruction. This resource is a bundle of all of my Language Supplemental Resources for 5th Grade Common Core. 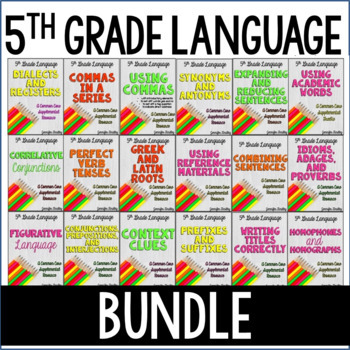 This bundle gives you everything you need to introduce, practice, and assess your 5th Grade ELA standards (language only). Paired passages are huge on state exams now. Students need several opportunities to read paired passages and answer questions that require the students to use both passages. It is difficult to create paired passage questions on a whim. To help, I created paired passage resources. They include engaging paired passages and rigorous questions that provide the practice that students need. —> Click here to grab a FREE paired passage set. Your students will love learning about google and Gameboy with these paired passages and reading activities. 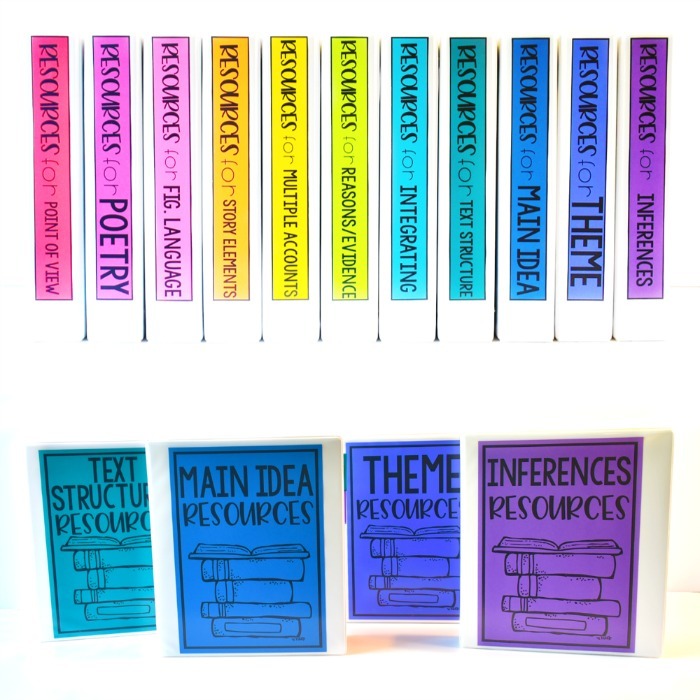 Click here to see a discounted bundle of my most popular paired passage resources. Using choice boards is an effective (and easy prep) way to offer students choice when they are learning various reading skills. These reading choice boards allow you to offer your students choice while also ensuring they are practicing grade-level reading skills. The reading choice boards are perfect reading activities for reading centers, reading homework, and early finishers. —> Click here to download some free reading choice boards. 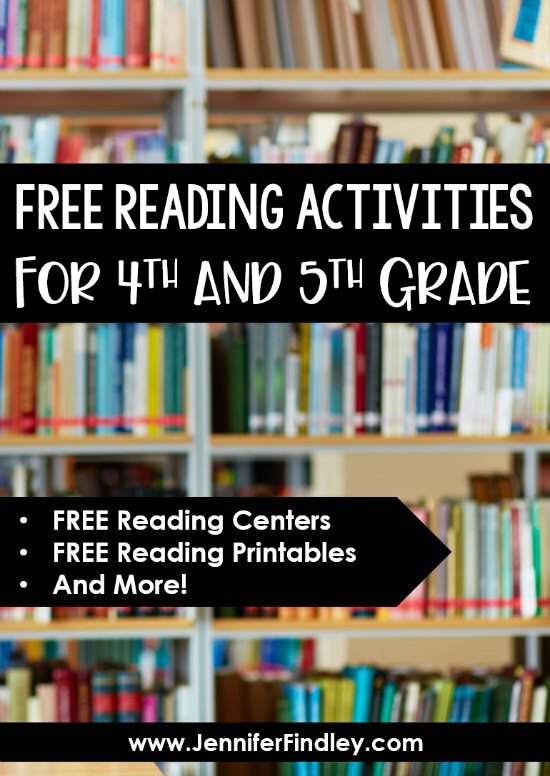 The resource includes a free reading and math choice board for 3rd, 4th, and 5th grade. Interested in more reading choice boards? Click on your grade level to see full sets. Saved the best for last! These next few reading activities are my absolute favorite reading resources. They work perfectly for reading centers, reading stations, small group reading instruction, and more! These reading games are prefect for small group instruction that can carry over into a reading center. This free reading activity includes one reading passage and a game-board with text-dependent questions. I like to read and discuss the passage as a whole group or small group reading activity and then have the students “play” the game at a reading center or station. —> Click here to download a free reading game! This next reading activity is pretty simple but still a nice change from just answering questions. The students read a text and then roll two dice to determine which question they will answer. You could make this more engaging by having the students play it BUMP style. —> Click here to download a free roll and answer reading center. Click in the box below to see a bundle of the two above reading activities, which are also sold separately. Do you need engaging and low prep reading centers for upper elementary? 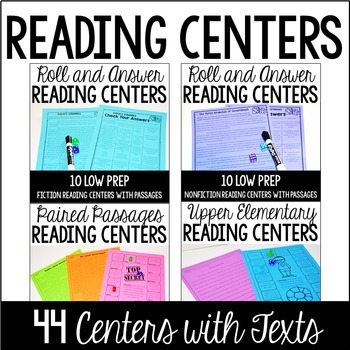 This BUNDLE includes 44 reading centers with texts. The reading centers are rigorous and engaging and even your more reluctant readers will enjoy reading with these reading games. These reading puzzles are the perfect way to get your students to practice grade level reading skills in a hands-on way. —> Click here to download a free mini-set of reading puzzles for identifying text structures. Reading centers are the perfect way to have your students practice reading skills in isolation of novels and independent reading. 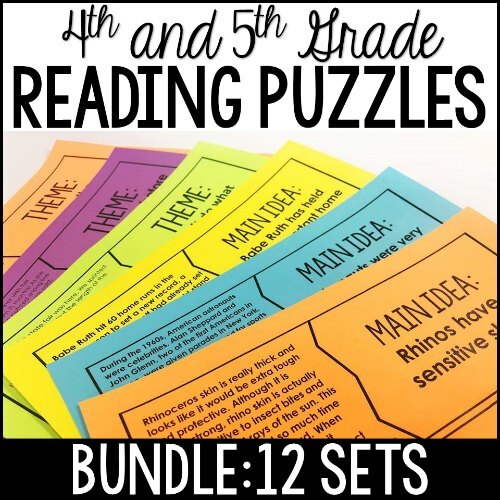 This bundle of my reading puzzles for 4th and 5th grade is perfect for reading centers, small group reading practice, or even re-teaching. Really want students to go deep with a reading skill or standard? Try these reading spinners. They take one reading skill and have the students dive deep by answering a variety of questions related to that reading skill. —> Click here to download a free set of reading spinners (one for spinner for each skill: theme, text structure, main idea, and point of view). 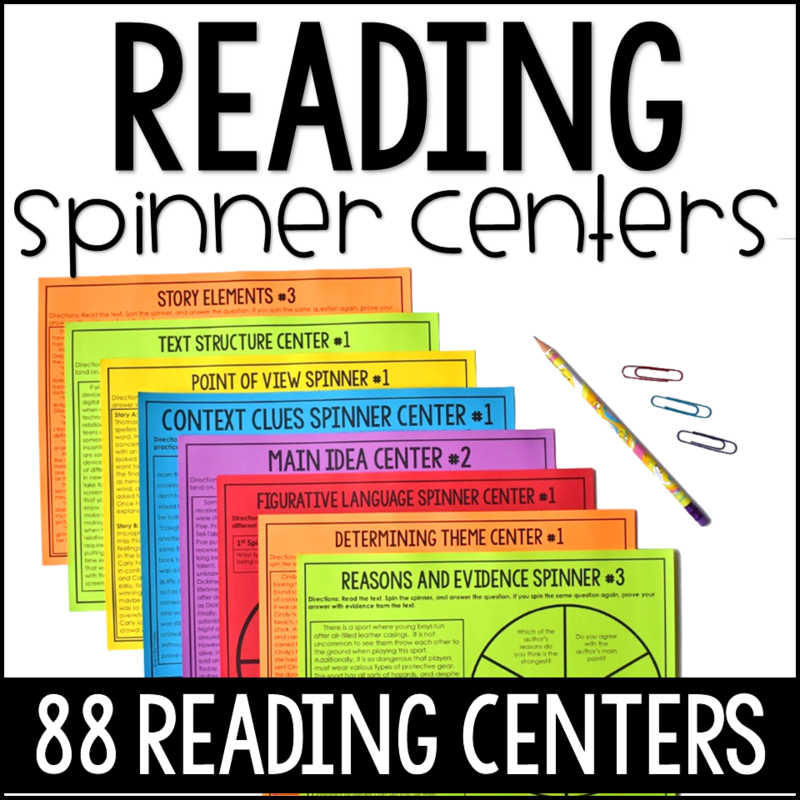 Engage your students with different reading skills with these simple to prep and implement reading spinner centers! Thank you for your interest in my reading activities and resources for 4th and 5th grade! Let me know if you have any questions! Click here to send me a message!